We have started planning for 2019! follow us on facebook and instagram (@producexpress) to stay up-to-date on upcoming events and be sure to come back and check this event page too! check out all the fun from previous events on facebook page HERE. 2017 was a great year filled with fun and informative events! 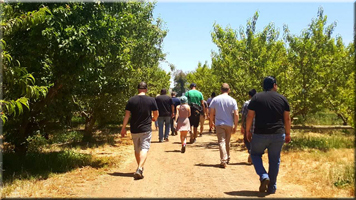 We hosted several trips to some of our favorite growers and vendors, bringing the people of Farm to Fork together to enjoy the harvest!